ALHAMBRA, California -- A man who called to report that his wife fell to her death in California is under arrest facing murder charges after investigators called out inconsistencies in his story. 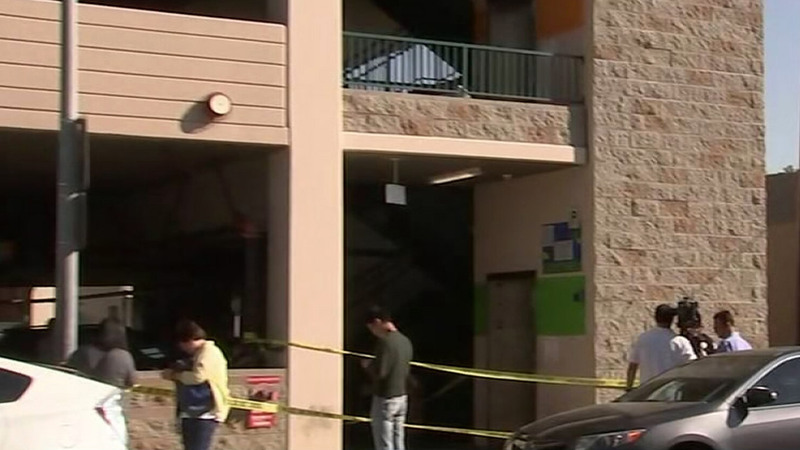 The husband told authorities that it was a tragic fall from the roof of a parking structure in Alhambra. According to Alhambra police, Russell Henry Errett called just after 1 a.m. Thursday to report the woman's fatal fall and said their 3-year-old daughter was in a car in the structure at the time. The child was not injured. After questioning the 55-year-old, police said his story didn't match up, and they arrested him on suspicion of one count of murder. Investigators were now looking into the possibility that the 29-year-old victim, Hui Li, was killed at a different location. Investigators also said they now believe the daughter may have witnessed the alleged killing. Errett's vehicle remained on the first floor of the parking structure as authorities continued to investigate the scene. Authorities were also checking for surveillance footage that may have captured the incident. Meantime, Errett's bail has been set at $1 million, according to Alhambra police.